I've been a massive figure skating lover as of lately, so I've painted a few Russian ladies that I enjoy watching! Source pic by Mikhail Sharov. Source pic found on ISU's Instagram page. 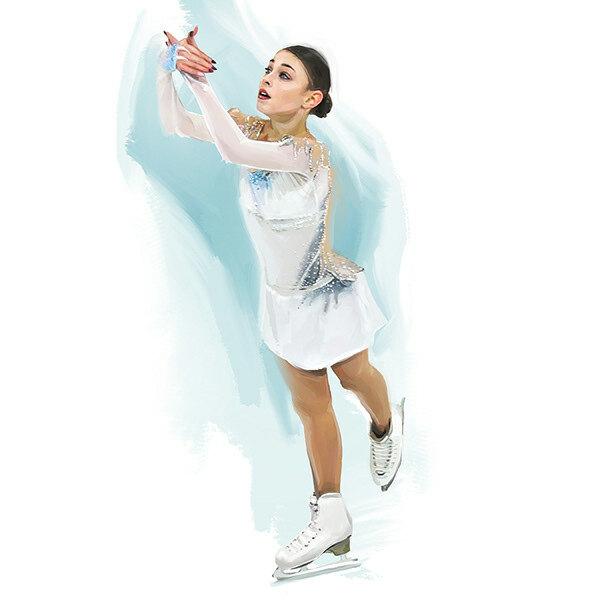 Source pic by Dmitry Ikunin, fskate.ru. Source pic by Ksenia Nurtdinova. Source pic by Maria Kateshova.